Many of us are familiar with the stories of Jesus feeding people. Miracles of thousands fed from only a few provisions. Again and again. But when you look closely at these miracles, you will see that it is mostly Jesus’ followers doing the feeding. Distributing large quantities of food from their own stores, and those in the community. Because with God there is enough. There is always enough. We are called to do likewise, and the food ministries at St. Paul’s not only feed our community, but provide opportunities for us to be reminded of this abundance daily. Join us. Sunday afternoons & many holidays find hungry people in our neighborhood without any food assistance. St. Paul’s parishioners and friends respond by delivering meals to 50 homes in our community. This serves as a wonderful opportunity to make new friends and connections while helping others. Skills & Time Needed: We need cooks, organizers, and friendly deliverers. Volunteers typically help one Sunday a month. Another opportunity for St. Paul’s to partner with Harvesters, and to respond to a specific need, the BackSnacks program ensures that children have food over the weekends, when away from school- supplied meals. Delivering the food to two local schools makes it easier for families to receive this help. Skills & Time Needed: The food is delivered to St. Paul’s and Volunteers are needed for our delivery teams transport the “BackSnacks” to the nearby schools. This requires moderately heavy lifting. The time commitment is one hour per week, October through mid-May. Another way our Food Pantry Team responds to God’s call to feed the hungry in our community is by partnering with Harvesters. We need individuals, couples, and families to help organize and distribute this food. If you can commit to once-a-month, this is for you. Skills & Time Needed: Our Pantry receives delivery of several palettes of shelf stable and frozen food from Harvesters once a month. Friendly volunteers are needed to break down the pallets of food and re-package it into family-sized boxes and bags. On the 3rd Saturday of the month we then open the doors to those in need and start handing it out. Volunteers are always needed, even if you can stop by for just an hour! Contact: Melissa Hill, via the church office, at stpauls@stpaulskcmo.org. As followers of Christ, we take seriously the command to care for the poor and hungry in our midst. 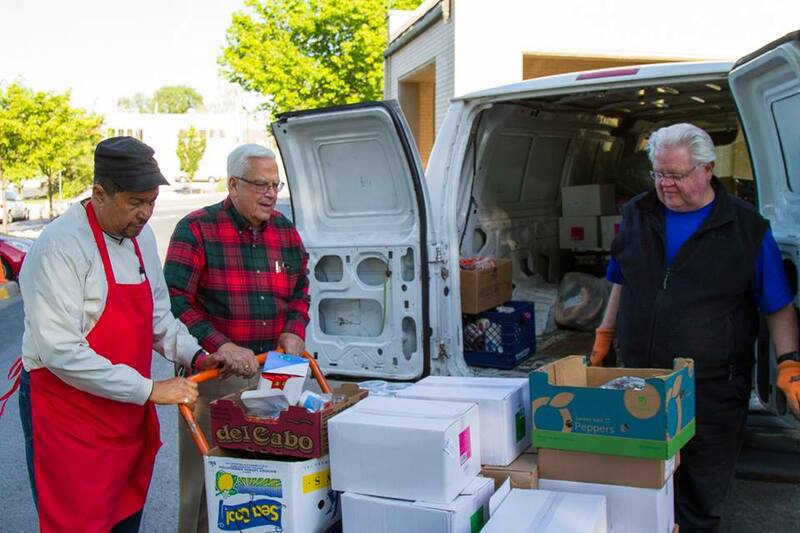 Starting over 40 years ago, the Food Pantry Ministry at St. Paul's provides much-needed food security for approximately 1200 of our neighbors each month. If you wish to be a part of the team of faithful folks who assure that we do what we can to seek and serve Christ in all persons through this ministry, please consider joining our team. Skills & Time Needed: The Pantry is open Tuesdays & Fridays from 10 am to noon, and Wednesday evenings from 5:30-7:30. Opportunities to serve encompass a variety of skills and abilities, all requiring grace and friendliness, include packing, sorting, greeting, and assisting our clients through the line. You can volunteer for a regular slot to become a part of one of the teams, or for shorter term opportunities to serve. The Senior Commodities program provides a way for us to respond to hunger in a specific population - senior (60+) Missouri residents- who meet certain income requirements, and need food assistance. We currently serve more than 350 clients. 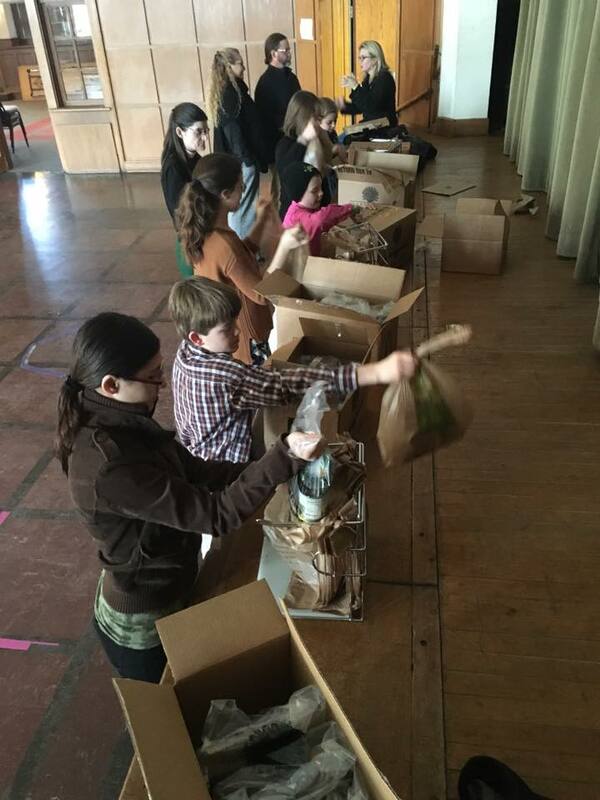 Skills and Time Needed: Boxes are distributed by gracious and friendly volunteers during Pantry hours (T/F 10-12 W 5:30-7:30). Volunteers take applications, check-in the clients, and help them carry out their food boxes if there is a need, and they are able. View additional federal nondiscrimination policy in English, in other languages.